As a medium viscosity builder gel, it is highly flexible with a high gloss. 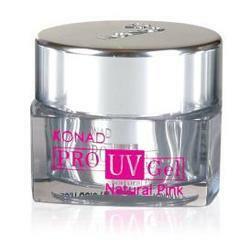 The Konad Pro UV Gel is a very thin overlay gel used to strengthen natural nails. Hand crafted by skilled craftsmen with high precision to enable accurate application of the product. These brushes are made using the finest hair and can be made available in various sizes as per the demands of our clients. Nail Arts, Nail Polishing, Nail Extension Filing, Nail Extension. The cotton candy gel candle is glistening and gorgeous. The gel candle is perfected with dried caps bloom, mini cone and brown lady. Makes an attractive addition to a beach wedding or a party or to a home. 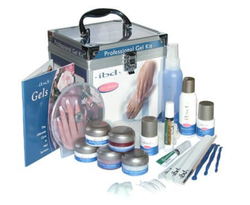 French Soft White Gel is a medium viscosity used for tip overlays and free form sculpting. The smooth, creamy texture makes for an effortless application and gives ultimate control for forming the perfect smile line. The soft white colour is used for a more subtle and natural French manicure. A never out of style nail enamel which gives the nails a clean, neat & elegant look. Two – In – One: Treatment along with colors.